Meet an award-winning team growing artisanal weed from Washington who’ve perfected large-scale indoor pot farming using a combination of careful strain selection, modern science and age-old wisdom. 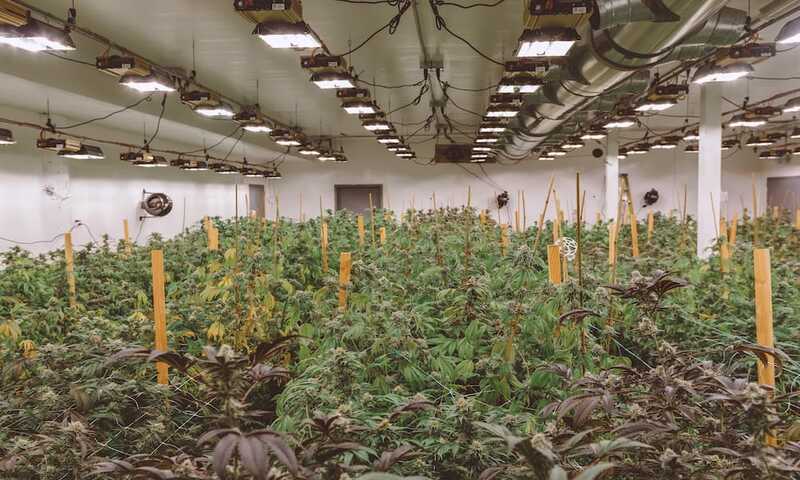 Common wisdom in the cannabis-cultivation community has it that as growers scale up the size of their grow space, the quality of their product inevitably suffers. Indeed, it is quite difficult to produce A-grade flowers in a massive warehouse, but it certainly can be done. 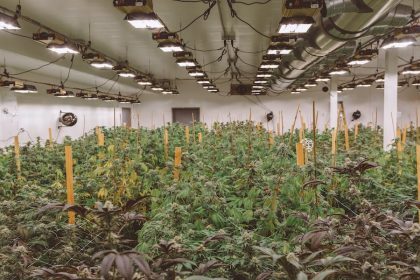 Consider House of Cultivar, the largest marijuana-production facility in greater Seattle, at 40,000 square feet with the capacity for 852 flowering lights. Even with all of that space to manage, the expert horticulture team at Cultivar produces many pounds of connoisseur-quality flowers and top-shelf concentrates. Part of the company’s motto includes the statement “To do right by this plant—seed, root, flower and leaf—every step of the way,” and Cultivar’s clearly devoted to maintaining integrity and best practices throughout the process. 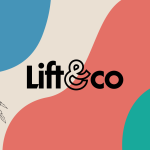 CEO and founder Jason Hutto explains that he and his staff are committed to growing great strains the right way—without pesticides, watered and trimmed by hand, and slowly cured to perfection. So much so that House of Cultivar recently won best indoor grow in Washington State at the 2017 Dope Awards. Cultivar’s commitment to excellence and genetic diversity differentiates it from many others, proving that craft-quality cannabis can be produced on a large scale. Located in the heart of Seattle, in a previously derelict shipping facility in the SoDo neighborhood, House of Cultivar holds a Tier III indoor-production/processing state license. The company also maintains a strong focus on sustainability and lowering its carbon footprint. When it comes to lighting, water and waste, the House of Cultivar team is always looking for ways to diminish its impact on the environment. The company has even worked with the city to reduce its electrical load by 46 percent off baseline. Mindscape turns purple approaching maturity. Another aspect that sets House of Cultivar apart is the team’s commitment to growing and stocking a wide variety of different strains. Between its mother-plant library and its tissue-culture laboratory, Cultivar possesses over 350 unique live genetic specimens. The company’s large stock of seeds comes almost entirely directly from the original breeders. The list of varieties that it grows is staggering, far too many to print here, but suffice it to say that it is vast and filled with gems including OGs, Cookies, Diesels, Chems, Lemons and Sherbets. These aren’t watered-down versions of these varieties either. The crew that hunted these genetics down did their due diligence because each and every one of the varieties represents the unique and robust terpene profile that matches its name. Whether it’s something gassy, fruity or earthy, the strains grown at House of Cultivar are the perfect rendition of their potential. Cultivar’s Chem Mint Cookies and Super Glue are two of the most fragrant, potent and amazing varieties I’ve ever sampled. In particular, House of Cultivar prides itself on its archive of Chem Dog family strains—Chem D, Chem 91, Guava, Snowdog and many more—and the Cultivar staff has searched for the phenos that test high in THC and have the most essential-oil production. As a longtime Chem-strain fan, I was impressed by the quality and quantity of Cultivar’s archive. Although it still employs traditional cloning techniques, House of Cultivar also maintains a completely sterile tissue-culture laboratory in order to preserve, improve and micropropagate its vast library of genetics. The facility has a magnetic locking-door system to avoid cross-contamination and state-of-the-art equipment for clean regeneration practices. House of Cultivar’s director of lab operations, Mike Hydro, gives me a guided tour and explains exactly what he and his team are looking to accomplish by using tissue-culture technology. Think of tissue culture as cloning, but on the cellular level. A tiny fragment of an emerging node, a callus the size of a pinhead, is carefully cut from a plant and then suspended in agar inside a test tube. These disease-free plantlets can then be used for a variety of purposes depending on the needs of the laboratory. The benefits of utilizing tissue-culture techniques include ridding plant stock of pests, diseases and pathogens. Mold- or insect-damaged genetic material that would normally have to be discarded can be cleansed and restored to its true original and robust potential. Topical issues such as pest damage can be handled in one generation while bacterial and fungal issues may take multiple generations of micropropagation to mitigate. In this way, House of Cultivar’s genetics can be preserved in vitro and stored for many years in its cryogenic freezer and even improved upon over time. Another advantage of micropropagation is for rapid multiplication of plants. One healthy mother plant can produce thousands of explants, which are then coaxed into rooted cuttings ready for the vegetative stage of growth. Conventional cloning produces just a fraction of these amounts. I’ve seen tissue-culture labs in action all over the world, but this was the first time I’ve witnessed commercial cannabis production using micro-propagated plants. Watching the team at House of Cultivar put this cutting-edge technology into practice gave me a glimpse into the future of cannabis cultivation. Golden Gage plants grow through the trellis. The cultivation chambers at House of Cultivar are climate-controlled using a full dew-point-managed HVAC system with HEPA filtration and advanced biocontrol. Flowering plants are lit with a combination of multi-spectrum ceramic metal halide (CMH) lighting and double-ended high-pressure sodium (HPS) fixtures. The use of the CMH systems reduces energy consumption by over 50 percent! The plants, grown in a blend of RHP-certified organic Cloud Coir coco and perlite, clearly love the mixed-spectrum lighting. They glisten with swollen glandular trichomes whose bulbous heads are filled with the essential oils. These terpenes, cannabinoids and flavonoids are what give the stellar strains their aromas, flavors and effects. 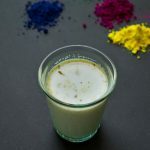 Whether growing artisanal weed for flower or concentrate production, the proper preservation of these pungent and potent organic compounds is what separates the best from the rest. The vegetative and flowering areas are in opposite areas of the complex to ensure that their environmental conditions are optimal for each individual stage of plant life. Water passes through multiple filtration treatments including RO (reverse osmosis). Facility architect and vice president of operations Matthew Gaboury takes me through the various parts of the House of Cultivar complex and explains how it all works together to produce high-quality cannabis and concentrates. The eight 90-light flowering rooms are staggered at two weeks apart, allowing House of Cultivar to harvest perpetually. This ensures that a fresh product reaches the marketplace in a regular and timely fashion. The rooms are filled with plant beds on rolling trays. Plants in coco cubes sit on top of the coco-perlite mix, eliminating the need for individual plastic pots and reducing water waste due to runoff by over 20 percent. Washington State cannabis regulations don’t allow growers to use pesticides of any kind. House of Cultivar uses a system of OMRI-certified organic IMP (integrated pest management) consisting of only biological controls including predator mites, nematodes and beneficial fungi that outcompete powdery mildew (PM) in the root zone. The predatory mites attack the larvae of fungus gnats, thrips and root aphids as well as full-grown broad, spider and russet mites. Plants are hang dried and cold cured whole. All plants are flushed for 10-12 days from harvest with only plain water and natural enzymes. Plants are hung to dry whole and intact to preserve the “nose” of the flowers. Drying takes place in hermetically sealed chambers with antimicrobial wallboard and their own HVAC system to dial in environmental controls. At the perfect temperature and humidity levels, terpene preservation is at the maximum. Leaves are left on the plant during the drying process to protect the fragile trichome glands. Humidity is kept at 56-60 percent to slow the process. The flowers then undergo a dry trim. No machines are used. All of the colas are hand-trimmed with scissors by a crew before being placed into containers to cure. 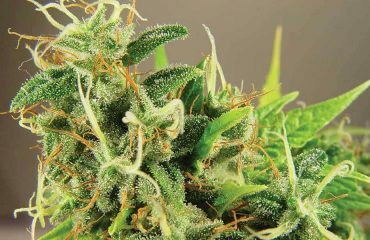 Drying takes place for two weeks and curing takes one to two weeks minimum. At the moment, Cultivar is pulling approximately 75-85 pounds of dry flowers per room. Quality only results from hard work. Only the premium nugs go into flower packages. Trim and smaller buds are saved for processing into extracts and Goldfinger pre-rolls, which are infused-flower joints painted with a sticky distillate/terpene-honey mix and then rolled in dry-sifted trichome glands. This results in a dipped and dusted slow-burning, flavorful spliff that can get a whole roomful of smokers quite high. They’re currently available in five different flavors with more soon to come. House of Cultivar’s vice president and head of processing, Alex Parisi, shows me a few of the company’s processing and extraction capabilities. On top of growing artisanal weed, Cultivar produces hydrocarbon extractions for distillates and strain-specific CO2 vape carts using an Eden 20-liter CO2 machine. A hydraulic press also provides award-winning rosin squeezed from flowers and dry sift. House of Cultivar has become known throughout Washington for growing artisanal weed and their flavorful and potent concentrates. The post Growing Artisanal Weed in Seattle appeared first on High Times.